Was Jesus Crucified on Thursday or Friday? Ray on the Bible > New Articles > Was Jesus Crucified on Thursday or Friday? On which day of the week was Jesus crucified? Thursday or Friday? Most people believe it was Friday. Tradition and most Christian churches agree with this. Good Friday commemerates that dreadful day. The main reason for this is that the Bible makes it clear that the next day after Jesus was crucified was a sabbath (Luke 23:54, 56; John 19:31). The Sabbath is Saturday and so the day of Jesus' crucifixion had to be Friday. But there are some problems with this. Before getting into the problems, it is important to realize that there are three types of days: daytime days, 24 hour days, and days of the week. A daytime day runs from sun up to sun down or approximately from 6am to 6pm. In the Bible the word day often refers to a daytime day, but not always. A day may refer to a 24 hour period, for example, from 9am of one day to 9am of the next day. A day may also refer to a day of the week: Saturday, Sunday, Monday, etc. Jewish custom starts the day at sunset. So Saturday starts at sunset on Friday and goes until sunset on Saturday. Roman culture and today's culture starts the day at midnight. The mention of three days and the third day in the Bible could be any one of these. The Bible says many times that Jesus was resurrected on the third day (Matthew 16:21; 17:23; 20:19; Mark 9:31; 10:34; Luke 9:22; 18:33; 24:7, 21, 46; Acts 10:40; 1 Corinthians 15:4). The Friday Crucifixion view does not have a problem with this. Friday was the first day, Saturday was the second day, and Sunday was the third day. The Thursday Crucifixion view also does not have a problem with this because for this it counts 24 hour days instead of days of the week. Jesus died sometime after 3pm (Matthew 27:45; Mark 15:33; Luke 23:44). He rose from the grave right before sunrise on Sunday. Using 24 hour days, if Jesus was crucified on Thursday, Thursday 3pm to Friday 3pm was the first day, Friday 3pm to Saturday 3pm was the second day, and Saturday 3pm to Sunday 3pm was the third day. Jesus' resurrection sometime before 6am Sunday was on the third day. The Bible does not just say that Jesus was resurrected on the third day, it also uses the words "after three days." This was stated by Jesus in Mark 8:31. The Jewish leaders also quoted Jesus as having said this in Matthew 27:63. If Jesus was crucified on Friday, no matter how you count the days, His resurrection was not "after three days." If He was crucified on Thursday, His resurrection was after three daytime days. Jesus was crucified on Thursday during the day (that is one), He was in the grave Friday during the day (that is two) and Saturday during the day (that is three). After the third daytime day and before the fourth, He was resurrected. Jesus also said that He would be in the heart of the earth for three days and three nights as Jonah was in the belly of the huge fish (Matthew 12:40). If Jesus was crucified on Friday, no matter how you count the days, He was not in the grave for three days and three nights. If Jesus was crucified on Thursday and buried before sunset, that is one daytime day. Thursday night is one night. The daytime of Friday and Saturday are two more daytime days (that is a total of three days) and Friday night and Saturday night are also two more nights (that is a total of three nights): three days and three nights. 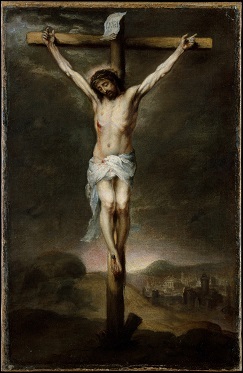 If Jesus was crucified on Friday, He was only dead for about 38 hours. That is a little more than a day and a half. A day and a half is not three days. If Jesus was crucified on Thursday, He was dead for about 62 hours. That is a little more than two and a half days. That can definitely be considered as three days and its end as being on the third day. Tradition is often a huge distractor that causes people to ignore the Bible. Should the words of Jesus (when He said, "after three days" and "three days and three nights") be ignored just because they do not fit into the tradition of a Friday crucifixion? No, they shouldn't. But what about the Sabbath? The Thursday Crucifixion view still has a problem with the Sabbath. Jesus was crucified the day before the Sabbath. This can be explained by the Passover and its festival, the Festival of Yeastless Bread. The Festival of Yeastless Bread consisted of seven days that followed the Passover when the people ate yeastless bread. They were to do no work on the first and last days (Leviticus 23:5-8). These two days are not called sabbaths in Leviticus, but the similar no-work days of the Festival of Tents were (Leviticus 23:33-39). So it is likely that during the time of the New Testament, the first day of the Feast of Yeastless Bread was called a sabbath. If the Passover was on Thursday, the day that Jesus was crucified, Friday would be a sabbath (the first day of the Festival of Yeastless Bread) and Saturday would be the normal sabbath. There would be two sabbaths in a row: Friday and Saturday. The following two points from the Bible support this. In Matthew 28:1; Mark 16:2; Luke 24:1; John 20:1, and 19 the Greek word for the Sabbath that fell between Jesus' death and resurrection is plural (sabbaths). John 19:31 says that the sabbath following Jesus' death was a big sabbath. This may be referring to the idea that the sabbath was two days long. Was Jesus crucified on a Thursday or a Friday? A deeper look at the Bible points to Thursday. © Copyright 2018 by Breakthrough Version Publishing. All Rights Reserved.